Google makes 97% of their $33.3 billion revenue from their pay per click advertising. You can adopt Google’s revenue model and send leads to your own advertisers using Income Activator’s pay per click program, set your own rates, tracks the clicks, and creates the invoices. Google is telling you which advertisers they make the most money from. All of these advertisers that are advertising with Google have significant issues. You can use Google's Keyword Planner to see the average amount that advertisers are paying for each keyword. The Keyword Planner also shows you how many searches are performed each month for each keyword. You can also use the Google Keyword Planner for keyword research. You can find advertisers by simply doing a Google search for the keywords listed below and seeing who appears on the top and to the right of the search results. 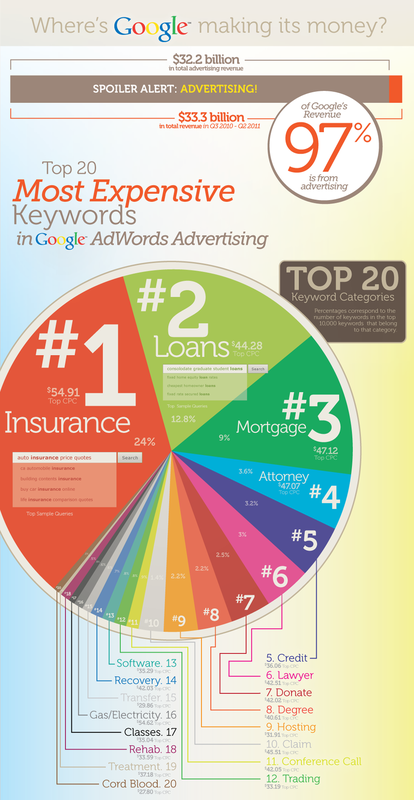 These companies are paying Google up to $50.00 per click. See more about how to find advertisers. It is easy to approach these advertisers if you have Google AdSense running on your website, these advertisers are already on your website, call them up and tell them you can dedicate a whole page to them and put links to their website that track the clicks. Step it up a notch and capture the visitor’s name and email address and what they are looking for, and send that information to your advertiser. Why Do They Want To Advertise With Me? These advertisers have strict rules and restrictions when advertising with Google, here are 5 reasons why an advertiser would want to advertise with you over Google. 1. The advertiser is limited to a very small ad tag line. Few characters to promote their product before someone clicks on it. 2. The advertiser is listed beside his competition in a group of ads. 3. Google doesn't screen miscellaneous clicks such as students doing research projects. 4. The advertiser has no negotiation power over Google if they feel the clicks aren't justified. 5. The advertiser can't track who came their website, they don’t get a name, email address, or telephone number to market back to the visitor. To start your own pay per click program, sign up for Income Activator and use and see which of the keywords below you can take advantage of. You can also use Income Activator to create referral forms that collects information your advertiser could actually use. 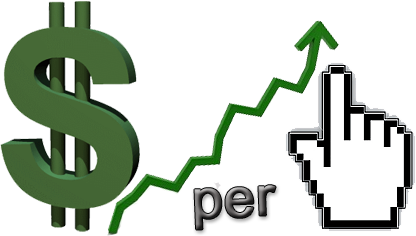 If a click is worth $5.00, a visitor lead is worth at least double that!